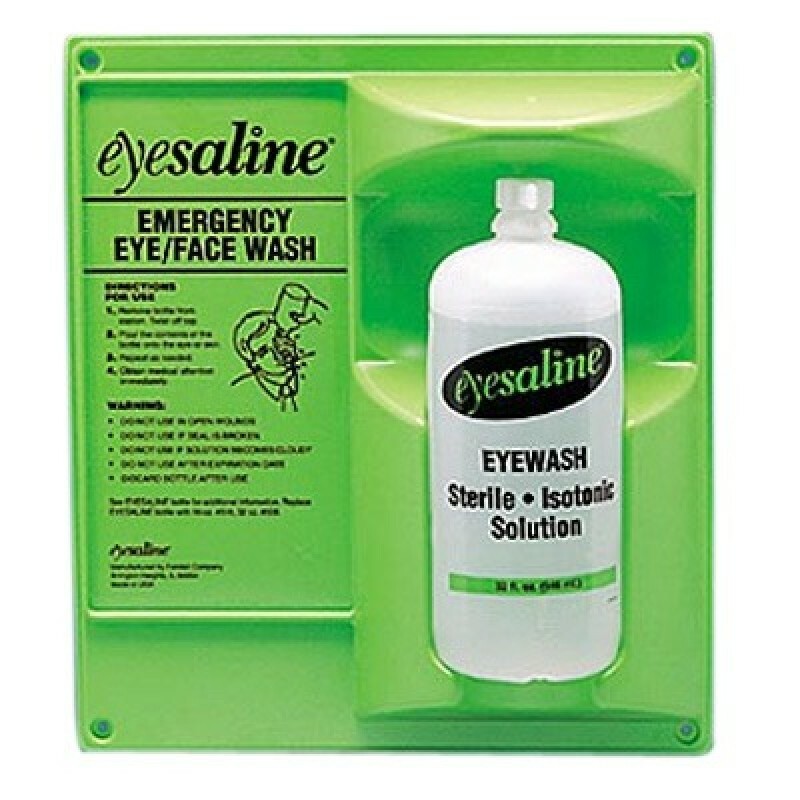 Durable Eyesaline wall station holds a eye wash bottle firmly in place and features an easy "snap-out" which allows for easy access in case of an emergency. Comes in a 16 oz. bottle. 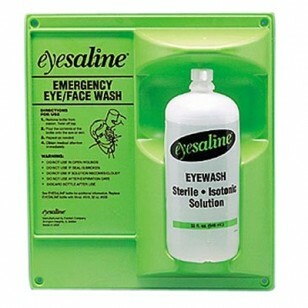 Instructions on station and bottle available in English and Spanish.